BMW’s nomenclatures may be puzzling to some but simply put, uneven designations represent the regular models and even models represent the sportier and to some extent, lifestyle models. The M240i naturally falls under the latter. In line with the lifestyle theme, we decided to head to one of the least automotive-friendly metropolises in the world – New York City. While we certainly enjoy strolling through swanky Greenwich Village and Williamsburg, we are more interested in a whole different theme; one which includes the Hudson River. In 1939, Life Magazine described the Hudson River as “America’s Rhine,” and the Lenape people named it “river that flows two ways.” The combination of the European affiliation in addition to the apparent conjunction with the 2-series is too much of a coincidence to ignore. In order to assess the M240i’s bilateral ambitions, we decided to go on a road trip. Let’s shift into High Velocity and head to the source of the Hudson. 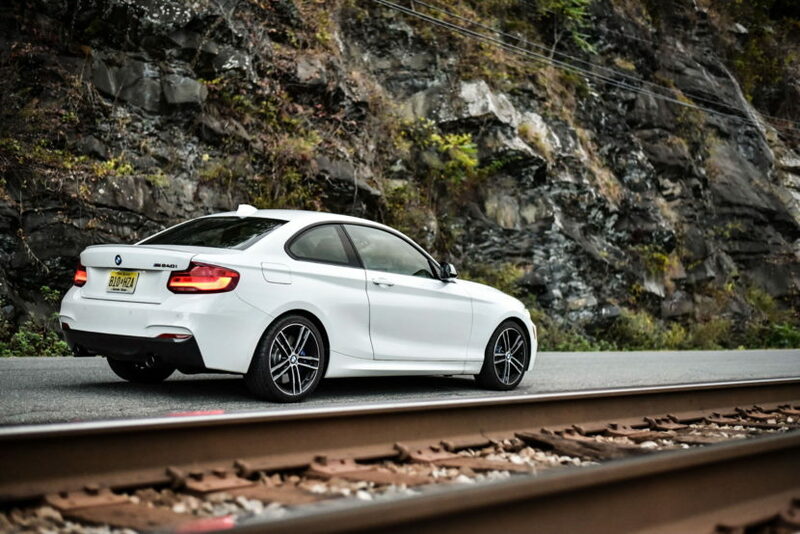 Appearance-wise, the BMW M240i is the embodiment of fashionable concealment. It fits in anywhere with its sleek silhouette and beautiful styling while still managing to accentuate its performance pedigree. The two exhaust tips hint of the straight six under the hood and the front air intakes highlight the caliber of which the car belongs to. It’s not a fully-fledged M-car like the M2 yet it doesn’t entirely cut it as “only” being a run-of-the-mill BMW; it’s 432 Park Avenue meets One World Trade Center. As you can imagine, all these hints of performance are about as difficult to spot for the untrained eye as passive drivers on Manhattan but alas, if you seek, you will find. After having picked up the car in New Jersey, we headed for Poughkeepsie. Poughkeepsie is known as “The Queen City of the Hudson” and lies halfway up the river to Albany. Despite its glamorous nickname, it’s an all but charming town, and the car merely fits by dint of two factors. 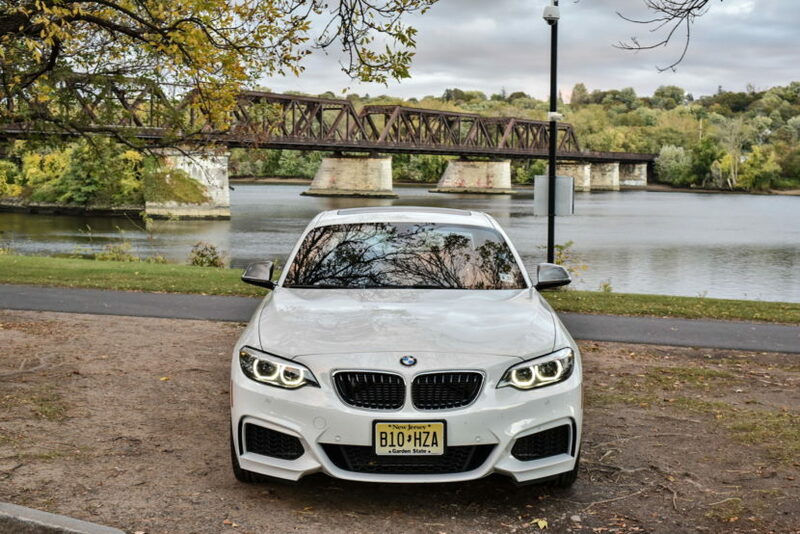 One is that Marist College is located there, a private college awash with cars of the similar competence and two is the presence of some significant bridges symbolizing how the M240i bridges the gap between an ordinary BMW and an outright M-car. 80 miles of Parkway from New York City is an ideal test of the long-distance aspirations and, on account of the snake of tarmac following the landscape, the high-speed dynamic capabilities as well. The most prominent issue lies in the car’s aforementioned sporting ambition. Despite the M-badge, it’s by no means a steadfast racer. Albeit, the fact that New York State paves their roadways using dynamite means that potholes the size of Olympic swimming pools are omnipresent. Even though our test car wasn’t fitted with the biggest rims, it had a challenging time parrying all bumps and craters. However, during those limited stretches where the road wasn’t reminiscent of the Grand Canyon but instead of Austria and where the parkway meandered its way through autumn trees and hills, the compromise on comfort proved its worth. 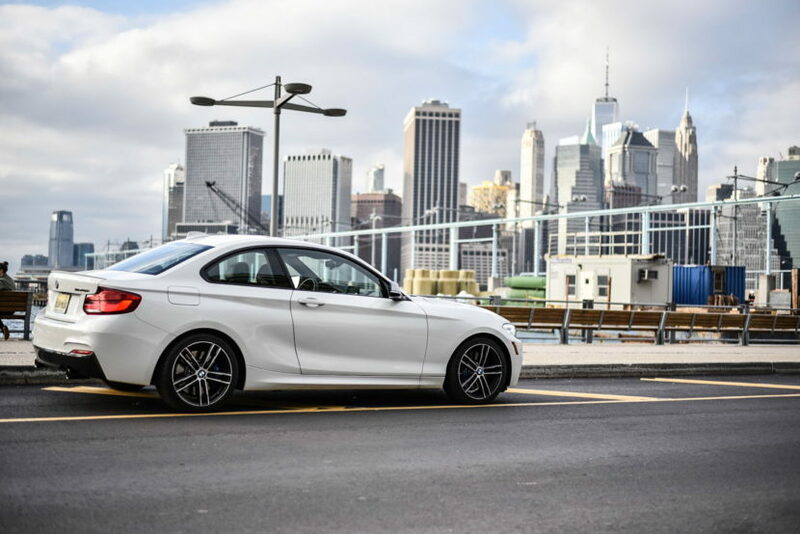 The most distinguishing aspect of the BMW M240i is without a doubt the engine. The straight six has a power delivery more linear than a line-graph and emits a melody fit for Broadway. It urges you to push the limits of what’s suitable on public roads and, frankly, it’s quite easy to get drawn into the pure joy it offers. After all, how many car’s this size can boast about having six cylinders? After Poughkeepsie, we set our sights on Albany where the American Rhine starts. It’s the capital of New York State and has a rich history, as is the case for BMW. 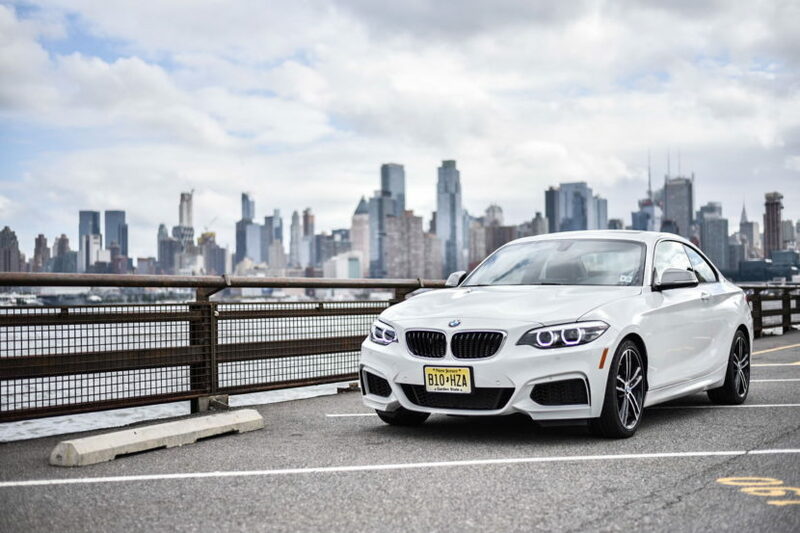 In the sense that Albany was one of the last great cities, the M240i is probably one of the last enthusiast-oriented cars; its sole focus is to put a smile on your face while aiding in day-to-day duties. Albany has gone from being of the great cities of the world – it was one of the first cities with electricity, sewers and a commercial airport – to being as deserted as a Blockbuster store. In the same way, there won’t be room in the future for rear-wheel drive, six-cylinder enthusiast automobiles. The Hudson showcases what once was, but as a consequence of outsourcing and the like, there isn’t much left. In essence, it draws attention to the downsides of innovation and development. Just as Jay Leno, I believe that the enthusiast’s cars of today will be the horses of tomorrow. 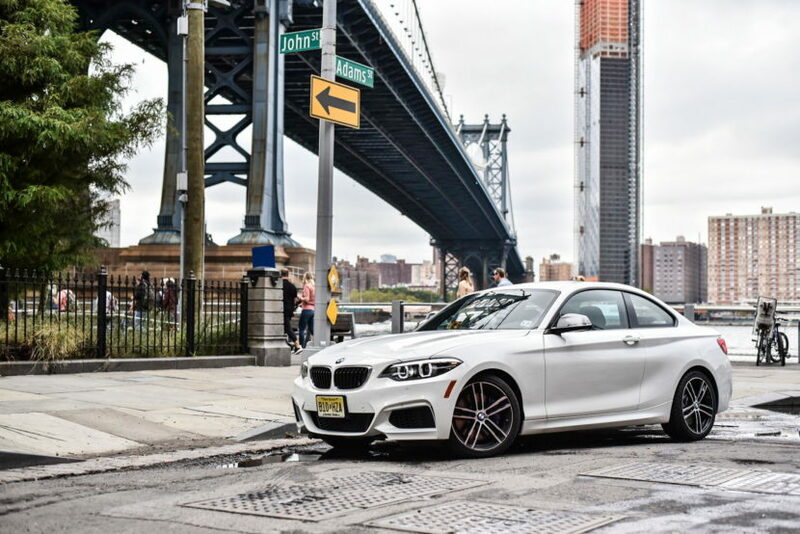 That is to say that cars such as the BMW M240i will be solely purchased by true hobbyists while the common man will get around using autonomous vehicles. Driving the length of the Hudson from New York City to Albany brings is indeed a metaphor for the automotive industry; New York City is an ideal place for autonomous vehicles while the empty streets of Albany encourage the opposite. 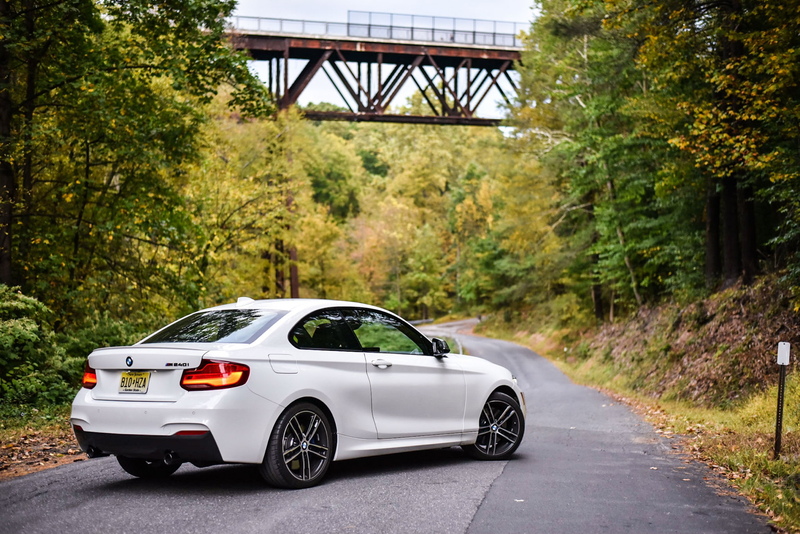 As mentioned, the BMW M240i bridges the gap between a regular BMW and an unadulterated M-experience; it’s the best of both worlds. The car certainly feels at home in New York State wherein the driving experience is slightly European, much to our tests cars (and our) delight. 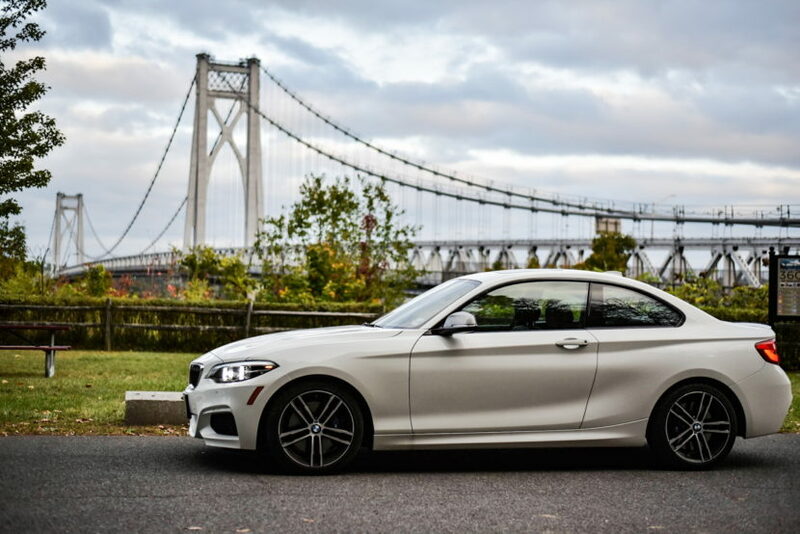 The American Rhine is undoubtedly a suitable moniker, and the BMW M240i is a delightful companion. It leaves you feeling bittersweet but never longing for more. 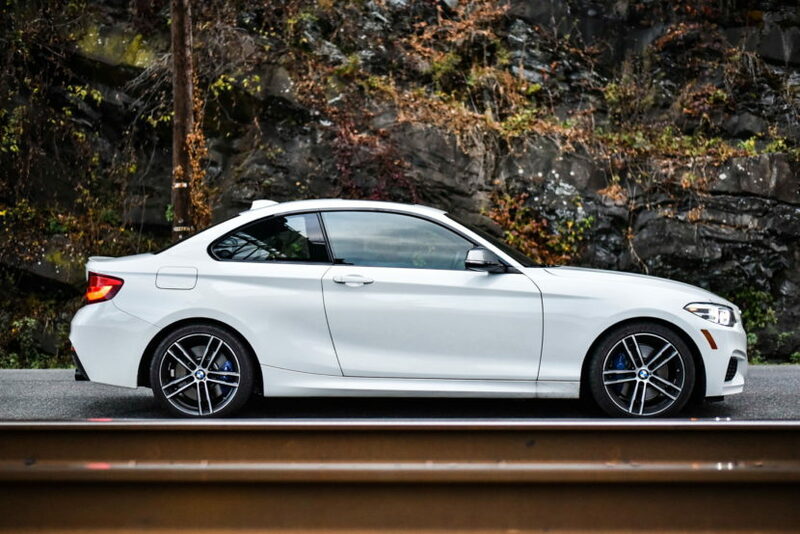 The BMW M240i, one of the last tributes. How about test driving the underappreciated 230i??? 230i is not bad but it’s four cylinders. You don’t want to drive 4 bangers in bmw especially in the long run. BMW 4 bangers are good, I6 better! 1. Reduce the height. 4er is longer but even lower. 2er is shorter than 4er but higher. I mean What the hell? It’s a disgrace. What were you thinking bmw?? 2. Incorporate that hideous straight front bonnet cut line into kidney grille. Just like 3er and 5er are going back to e90/e60 style. Obviously bmw has realized that disgusting straight line was a gigantic design bungle so they’re going back to old style. That is the single biggest reason i refuse to buy bmw with that straight line, it’s that bad. 3. Rear lamp design is a fail. It’s not bad at 45ish degree angle, but look from behind directly. It’s just a fail. E82 rear look was miles better. Looks are subjective, I think the last 3 box coupe looks great. The big downer about the M2 is one is limited to the Darth Vader interior colors. Oh, and non-adjustable suspensions.